Some spa hard covers are heavier than others, making it difficult to enjoy your spa. That’s when the cover lifter can help! A cover lifter is designed to help and assist you in lifting and storing you hardcover whist you are using your spa. Not only will it help prevent damage to your hardcover (by your hard cover sitting in cover lifter and not on the ground) but it means that you can enjoy your spa anytime. 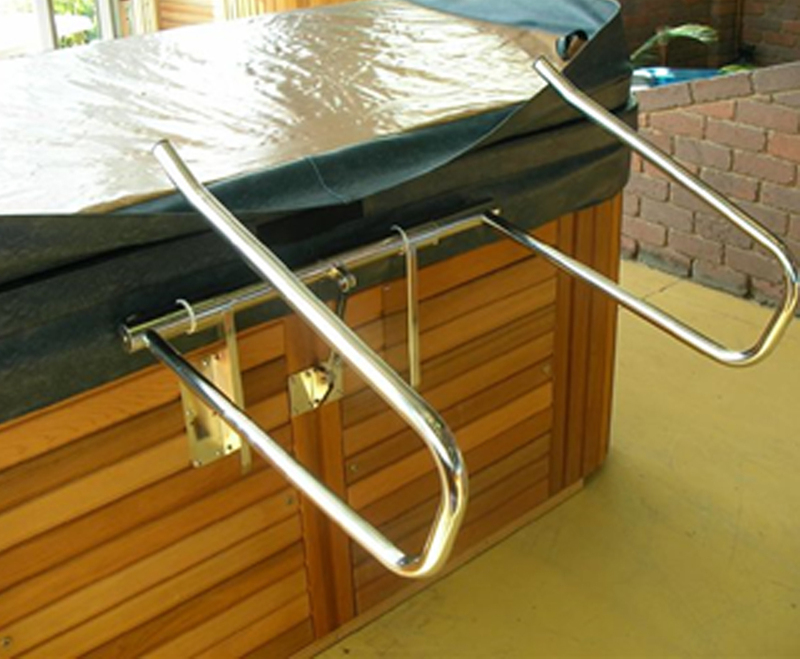 The cover lifter has 2 hydraulic arms that allow the cover to slide neatly into the cover lifter and store your cover on the side of your spa. When not in use the hydraulic arms simply fold away. To install, simply screw cover lifter onto the cabinet of your spa. PLEASE NOTE: A minimum distance of 700 cm’s is required for the cover lifter. This allows room for the hard cover to be stored.